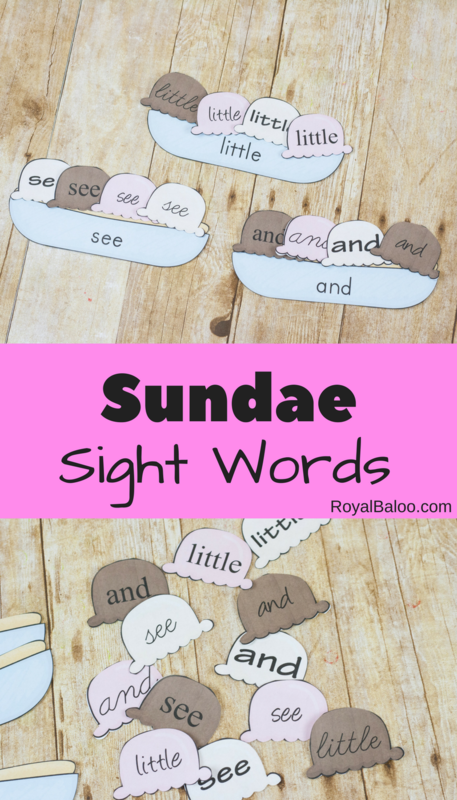 These sight word ice scream sundaes are a fun way to practice reading sight words and quickly! 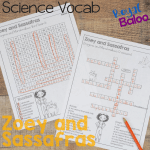 Match the words (and maybe eat some ice cream too! )I love a good ice cream sundae. It’s not something we eat often (I reach for the Ben & Jerry’s a bit too fast for sundaes) but man, a good sundae can really hit the spot. The banana, the cherries, whipped cream!! I love it all. My kids are more picky. I don’t understand how it happened, but they are picky about their ice cream. That’s okay though; more for me. These sundaes are beyond pickiness though because they’re just so cute! Sight word sundaes! 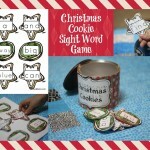 This Ice Cream Sundae sight word set is great for practicing reading sight words. Each word is represented in multiple fonts which is great for kids learning to read. 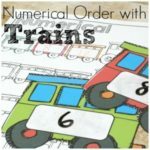 They see the individual letters that make up the word and don’t just memorize the look of the word. 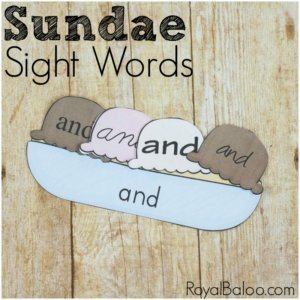 The idea behind these sundaes is to differentiate between sight words. 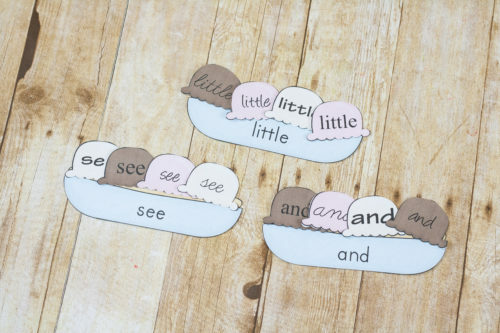 We usually include 3-9 different sight words at a time, depending on the age. The more sight words, the difficult the task. But it’s great to get them reading lots of words! After you’ve cut out the bowls and the ice cream scoops, split them into two piles – one for bowls and one for scoops. Then just have them match the scoops to the bowl! If they’re having trouble with a word because of the font, help them look at each letter and identify it. Some of the fonts are tricky but with help, they should be able to figure out the word. 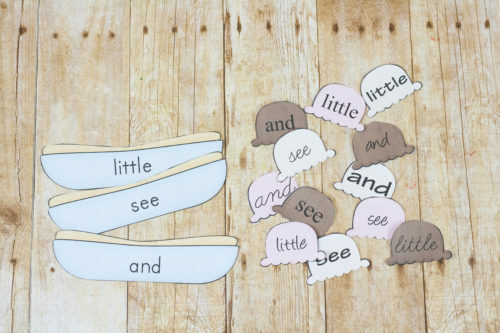 If you include an ice cream scoop so they can ‘scoop’ up each word, it might make it feel more like playtime! Even better, get a group of kids together. Instead of ordering flavors, have them order words! We love adding in some related literature to anything we’re working on. 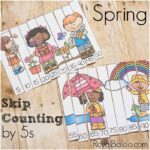 And that’s so easy to do when you’re working on reading! It helps that there are some great leveled readers that talk about ice cream.